Currently, a unique and very complex case (Zelman v. Zelman) is working its way through Florida courts, whereby a man suffering from dementia is seeking a divorce from his (mentally competent) wife, bringing to a head many issues.The issue of what to do when a family member suffers from dementia and/or is otherwise declared unfit has sent Florida courts (and attorneys) running in circles, sometimes trying to defend prenuptial agreements, and other times arguing that they should be dissolved. Few realize that there are caveats in Florida divorce laws that require particular waiting periods where one spouse has been declared mentally unfit. Florida’s law is designed, in part, to prevent able-minded people from abandoning infirm spouses who cannot defend themselves. However, this case has, more recently, opened the door to the question of whether adult children could potentially use Florida’s court system to manipulate the integrity of prenuptial agreements designed to protect spouses in marriages. In Florida, if divorce is sought based on mental incapacity, no dissolution can be granted unless the party alleged to be incapacitated has been adjudged incapacitated for a preceding period of at least three years. In this sense, any guardians who represent the incapacitated have a chance to defend and protect the interests of the incapacitated party. Although there is this mandatory waiting period, by having legislation that specifically addresses the rights of the incapacitated to divorce, Florida is one of the few states specifically allows for the filing of divorce actions by incompetent parties. In the Zelman case, the court will specifically need to determine whether Mr. Zelman understands what is going on and whether he truly wants a divorce–a very difficult task for any judge. If the judge finds that he is incompetent, he may also find that Mr. Zelman, as the spouse seeking the divorce, cannot rightfully do so because he does not understand the implications of his decision. 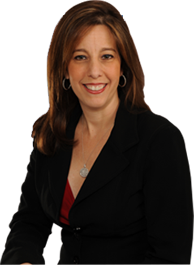 The case has the added complexity of a prenuptial agreement, which provides for a high sum of money for Mr. Zelman’s spouse in the event of his death; thus, if he is not granted the right to divorce, that will also affect his estate. Divorce cases are never easy. If you add in issues concerning dementia, prenuptial agreements, and frustrated family members at war with each other over financial issues, it only adds on additional complications. At the firm of Sandra Bonfiglio, P.A., we are prepared to assist families with their legal disputes and ensure that these disputes are resolved as peacefully as possible, ensuring that your legal rights are protected. Contact us today to schedule a consultation—we represent clients in Fort Lauderdale and Boca Raton.